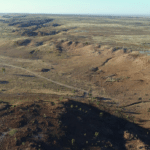 Northern Minerals has proposed using a new ore sorting technology on its existing Browns Range stockpiles to increase production of rare earths in northern Western Australia. Using X-ray transmission (XRT) sensors, a 100-tonne sample made up of high and medium grade material from the Wolverine and Gambit orebodies, as well as mixed low grade stockpile, was differentiated. A 2 per cent increase of total rare earth oxide (TREO) was aimed in the head grade to the mill, which will increase in the amount of rare earth oxides that can be produced at the current pilot plant mill feed rate. The capital cost for the supply and installation of the circuit is estimated at $4 million. 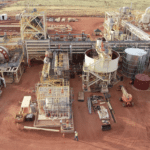 Bauk said, “We believe the up-front capital cost of retrospectively installing ore sorting technology ahead of the existing Brown Range pilot plant circuit is justified in the light of the head grade improvement demonstrated in the testwork to date, along with the forecast economic benefits delivered by greater production output – both of which will flow through to additional medium-term value for shareholders. 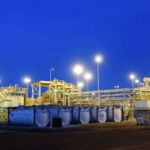 Northern Minerals is undertaking the technical and economic feasibility studies for the design, supply and installation of an ore sorting circuit at the pilot plant. The ore sorting circuit will be integrated directly between the crushed ore stockpile and the mill feed hopper.